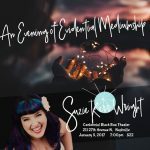 Aromagregory Soap & Tea Co.
Suzie Kerr Wright is an Astrologer, Psychic Medium, Tarot reader, Reiki Master/Teacher and Certified Holistic Life Coach. 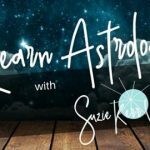 A true Scorpio, born in Boston Massachusetts, she has been offering stellar readings to clients for over three decades, giving thoughtful, honest advice with a slice of charm and dash of charisma to sweeten your consultation! Every Friday night, arom G’s hosts some of Nashville’s best card readers, palm readers, numerologists, and intuitives – ready to divine and answer your questions. Also join us for good conversation, cups of tea and shopping. Come “hang” with us…. $$$ Rates vary with each reader. Usually, between $1 and $2 per minute so a good, 15 minute reading would be between $15 and $30 in most cases. • Don’t want a reading? The Store will be open for shopping and tea drinking! 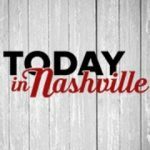 Aromagregory Soap & Tea Co.Astrologer (NCGR), Tarot, Psychic Medium, Life Transition Coach, Reiki Master, Psychic Entertainer #reiki attunements #tarot #medium #astrologer #psychic Nashville's Astrologer, Psychic Medium Nashville Visit www.astrogirl12.com for more information.